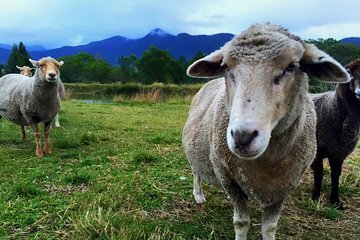 Experience farm animals in a picturesque rural setting at Trevena Glen Farm in the beautiful D’Aguilar Range. Take advantage of an educational, hands-on event and participate in feeding this family-run farm’s stable of animals—chickens and donkeys, guinea pigs and turkeys, alpacas and goats, to name a few. Learn about the animals and take advantage of other tours, including horseback riding.